PDF Merge Split for Mac. Free Mac application to merge and split PDF files on Mac OS X. You can use this free application to merge multiple PDF documents into one. You can also split PDF file and extract pdf pages by page numbers. Size: 2.5MB. Coding. Xcode Version 8.0. Version; 1.1.0 (Build on 14.11.2017). Requirement: Mac OS X Version 10.10 or later. 20MB free hard disk space required. 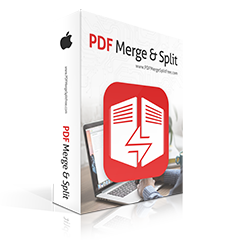 Merge PDF Files As a free pdf combiner tool on Mac, PDF Merge Split Free could be used to merge hundres of PDF documents into a new one at one time. Split PDF Files PDF Merge Split for Mac could be used to split PDF evenly. Keep and extract the PDF pages you require. Delete and remove the PDF pages unnecessary. Fast and Reliable Armed with native Xcode technology, this Mac application can merge or split PDF documents at the fastest speed and in most reliable process.